Before I get into my post here, I want to take a moment to say that Random Acts is mourning the loss of our collaborator, Suzie Austin, this holiday season. We are grateful to have had her in our lives and so sad to lose her. I have 13 people in my house right now. Lots of visiting relatives. Luckily they all want to play with the kids, so I can sneak away and do some typing. This time of year I seem to always feel like the dam is about to break. I’m squeezing in too many things before the end of the year and it never really feels like that quiet gathering-around-the-hearth-to-watch-the-yule-log-burn thing that we’ve all heard so much about. 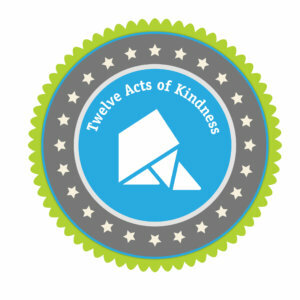 In this eleventh hour hustle, I got an email from IT manager Juliana at Random Acts — something to the effect of, “Are you going to do that act for the 12 Acts of Kindness project we talked about?” I replied, “Of course! You can count on me!” But the truth is, I had been so preoccupied with tending to my own nuclear family that I had forgotten entirely. Allow me to digress for a moment to tell a story that I’ve told before, but may be relevant here. When I was 6—about the age my son is now—my family had almost no money. My parents had both lost their jobs, and they had separated from one another. My mom was not yet getting any government assistance and we barely had cash for staple groceries. At that point, we were poor enough that my brother and I were probably not going to get much in the way of Christmas presents. And then, a mother of a boy in my first grade class somehow noticed our need and gave my mother $100 to buy gifts for us. She wasn’t a mom who had a lot of money herself, but it was a very generous gift and made a huge impact on us. Not only did we get some material delights that Christmas, but I’m still talking about this gesture more than three decades later. I’m still moved by the kindness of a woman whose name I can’t remember. And more than that, when I was working on founding Random Acts and thinking about what I wanted its mission to be, I couldn’t stop thinking about this small act and how it had stayed with me. I couldn’t shake the feeling that small acts of kindness can have a huge and lasting impact. So here I find myself: A well-to-do grownup with two little kids, having to be gently reminded to stop and notice those struggling around me. 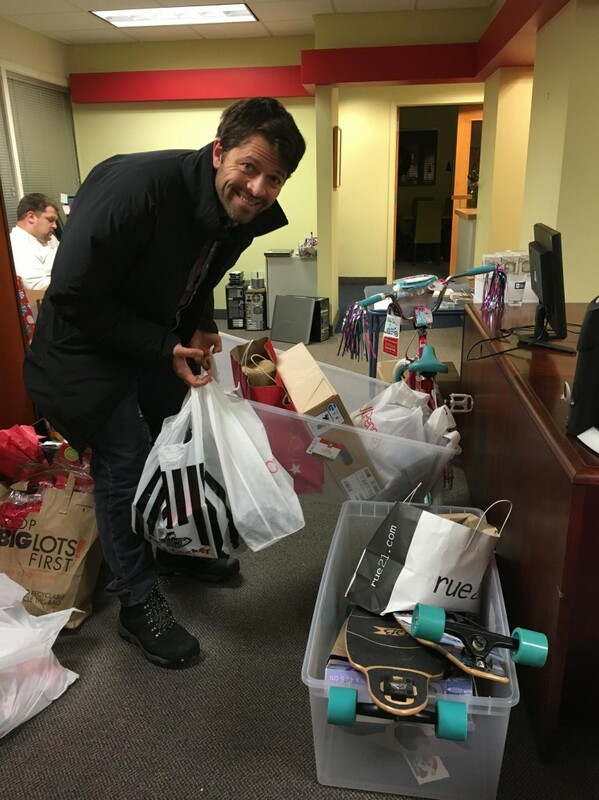 And so my wife and I took a pause and made some calls, found a local organization called Lydia Place that assists homeless families, and “adopted” four families for Christmas. These kids had all submitted their Santa wish-lists and, luckily, we find ourselves prosperous enough at this moment to be able to be able to make the holidays feel bountiful for eight kids we may never meet. It’s a funny thing: We will not miss the money we spent, we are happier for having done this small act, and who knows, the kids who received the gifts may possibly wind up paying it forward 30 years from now, so why the hell don’t we remember to do this sort of thing week in and week out all year round? Well Juliana, keep reminding me. And maybe we can all keep reminding each other. I hear a small person crying, I have to run. Happy Holidays. Make sure to follow our blog closely as we document all the ways our staff are celebrating this year’s 12 Acts of Kindness — and if you’re feeling the itch to perform a sponsored act yourself, make sure to apply for funding using one of our handy Act Proposal forms here.